It was Ifeoluwa Bejide’s day at the filled auditorium, during the 9th Convocation ceremony of Redeemer University, Ede in Osun state few days ago. Present was the Visitor of the university Pastor Enoch A. Adeboye, his wife Mummy GO of the Redeemed Christian Church of God, the Chancellor and Vice Chancellor, the principal officers of Redeemer university, honorary awardees amongst them the elderly Statesman General T.Y Danjuma, boardroom guru Mr. Felix Ohiwerei, the Deputy Governor of Osun state, other dignitaries, the press, parents, guardians, students and friends of the university. It was at this ivory tower special occasion, that Ifeoluwa Bejide was announced the Best Overall Student of the year 2016-2017. She graduated with a record feat of 4.93 score in Bsc Hons Micro biology. An uproar went up in the auditorium as she walked up to the podium to deliver a short speech and also for a handshake with the dignitaries and collection of her various prizes including cash. It would’ve been just another celebration of success, but the journey to that celebrated height came with a moving story. One that brought tears to the eyes of many in the auditorium, even as her mother came out of the sitting audience to roll on the floor in her dainty apparel, in honour of God’s goodness in her life and that of her children. 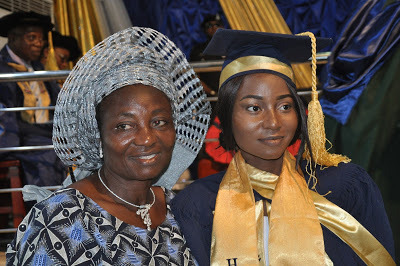 20 year old Ifeoluwa confessed she had sold pepper, tomatoes and swept the classes of Redeemer University all the 4 years of her stay in the campus, along with her mom, to ensure she sailed through her study programme. Even a day before the graduation ceremony, Ifeolowa, in the company of her mom, had attended to this same sweeping duty on campus. Being raised by a single mom with another sister, Ifeolowa persevered through their low state of income to achieve the academic feat. Many cleaned away the tear stains on their eyes because ironically, Redeemer University, a private university is meant more for the rich and the affluent who were also seated in the auditorium that day. But for the future, she would love to see her daughter “continue with her education because she is still young and has time to study and become someone in life and then take away the broom from me. Even as at yesterday, we were there in the classrooms, sweeping together. 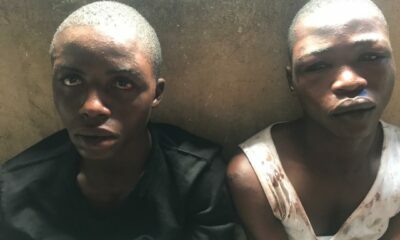 She went on to reveal how she luckily got the sweeping contract with the university, which ensured Ifeoluwa’s hope of eventually getting a university education.